It's late 1948 and you're trackside in Old Saybrook when you're lucky enough to see the New Haven Railroad's latest passenger equipment going both ways . . . The Super8 movie camera is a little blurry, but at least it's color (cutting edge these days). 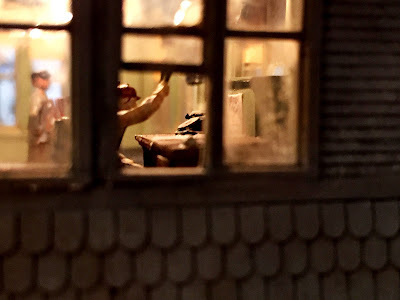 Later that night, under cover of darkness, you quietly climb up the ladder on the water tank to sneak a peek into the signal tower to watch the operators do their job. But the thing that fascinates you most are all the little lights on the control board, mounted high on the wall. And you think to yourself - "one of these days, I'm going to try and make a model of that..."
Thus ends just another day on the Shoreline during the Autumn of 1948. 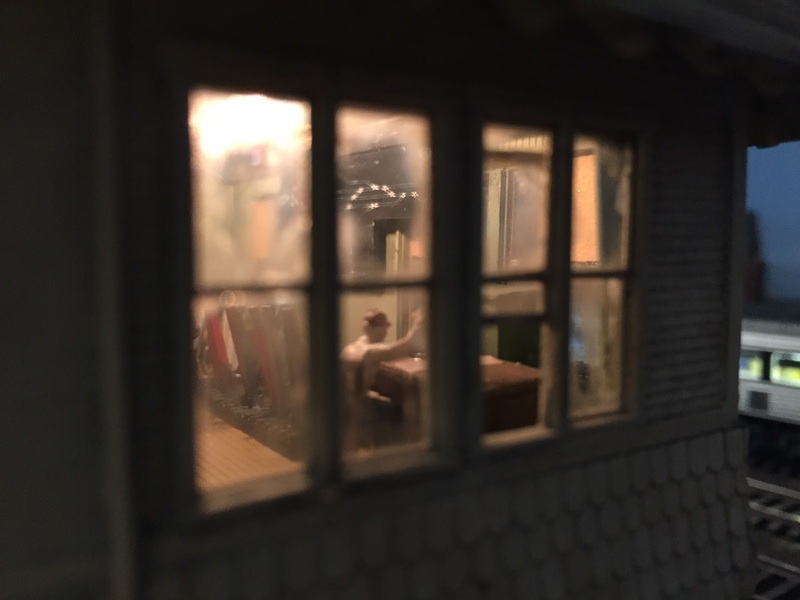 If you're in the area tomorrow, don't forget to check out the New Haven Railroad Historical & Technical Assn's Annual Train Show - this year held at the Valley Railroad in Essex, CT. Check out the flyer for more details - including my presentation on Modeling the Valley Line at 11a. Hope to see you there! And if you see me, be sure to say hello! Hey Chris Thanks for the videos. Hope the reunion is fun-i'm sure it will be! Sorry- its Sunday...Hope it was fun!